Kritters Thoughts: Drew Daniels has had a major life change and has returned home to put the pieces back together while at the same time a former high school friend is continuing to deal with a life change of his own. The story is set in such a different setting and I loved it - a prison, but the main characters aren't prisoners, but are employed there and this job brings with it different obstacles and interesting things. I absolutely adored that the reader wasn't told what Drew was really dealing with until the end; it made me wonder what made her run home, but she didn't obsess over it to make the issue a distraction to what was currently happening in the story. At the same time, I also loved how Graham had a cynical approach and we weren't shown the more immediate reactions he had to his accident and new life in a wheel chair. It kept the book in more of the less depressing and blue parts of his recovery. I definitely loved this book and think it was perfect to read during a day at the pool. 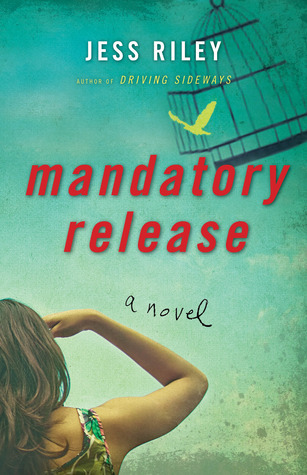 This is the first review I've read of Mandatory Release, but it sounds really good. Like you, I like the idea of such a different setting and I'm curious to see how the author works with that in the big picture.